Bake rolls as directed on bag. Meanwhile, in small bowl, stir together honey and yogurt. Arrange spinach leaves on 2 individual salad plates. 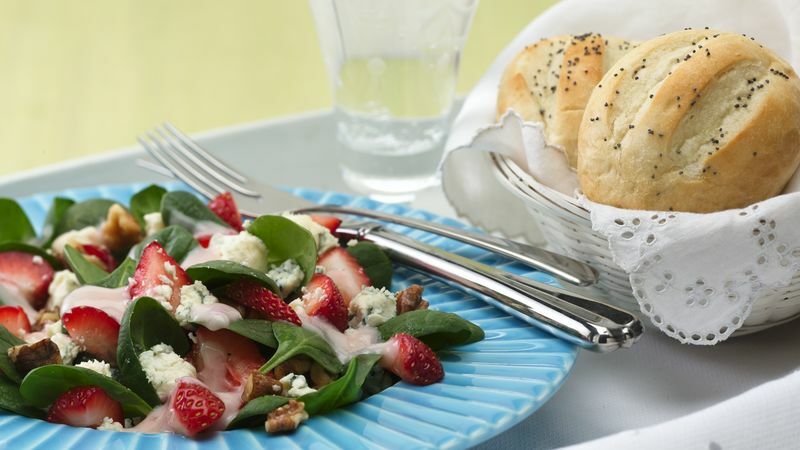 Top with strawberries; sprinkle with blue cheese and walnuts. Drizzle yogurt mixture over salad. Remove rolls from oven. Brush with butter; sprinkle with poppy seed. Serve warm with salad. Try the salad with the freshest fruits of the season--raspberries, blueberries, sliced mango and more!